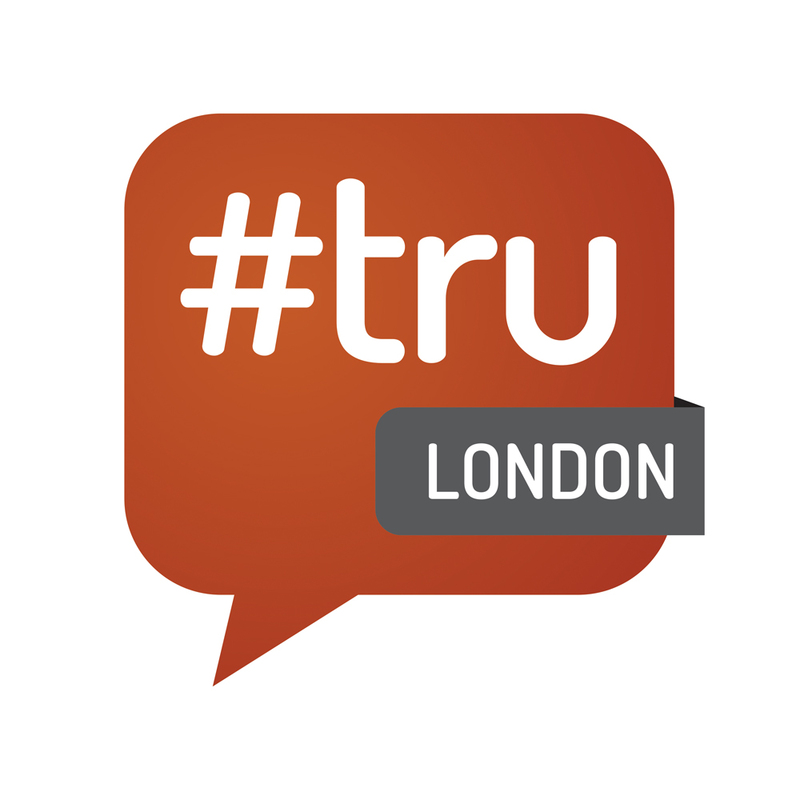 #trulondon is back in town in September. As always, the worlds biggest recruiting and HR unconference has evolved, keeping the best bits of previous events, and introducing plenty of new ideas and concepts. My friend and business partner Craig Fisher, @Fishdogs, is bringing the #TalentNetLive event to London for the first time. I think the two events will knit together perfectly and offer something for everyone. I have been involved as a speaker in 4 #TalentNetLive events in the past, so I know what you can expect. #TalentNetLive is part conference, part unconference. It is different to #trulondon in that their is a bit more structure, and participants can fully engage with the speakers. There is going to be 4 keynotes, all case studies with plenty of data, with 12 concurrent sessions, to be announced soon. I have been thinking for a while that we need to find a way to allow for data to be shared and presented, and that doesn’t fit in with the unconference format. Que #TalentNetLive! Each stream will consist of 5 tracks lasting an hour, each with a dedicated track leader to keep the conversation flowing. Our global sponsors Kelly Services will be hosting the #KellyLive livestream tracks, broadcast to the recruiting world through Google+. Thats quite a line up, with a little something for everyone. This is a lot to consider when approaching the channel. Most recruiters are applying an approach pre-2012 despite the significant changes in function, features, purpose and user behaviors in channel. It is a bit like continuing to advertise on MySpace, even though you know that the target audience has long since departed. What the results are showing us is that a pure sourcing approach on LinkedIn is delivering diminishing returns for recruiters, but a source and spray approach still prevails. It is time for a rethink and a change of approach. Forget candidates and clients, and start thinking audience. An audience needs to be entertained! I will be sharing these thoughts as part of this weeks #SocialAgency Hangout. If you haven’t seen one of the #SocialAgency Hangouts in the past, they are just that, a place for friends to hang out and talk about the topics of the day. You can join in the conversation by requesting an invite on Google+, or watch it on the Colleague blog page. This is part 4 in the series looking at the data behind the candidate experience awards in the UK. This research gives a unique insight in to what actually happens when people apply for jobs, and the picture is not all that great. You can get a copy of the official report HERE, and apply to take part in the next round of research. It is free to take part. The lack of information indicated in the pre-application stage means a high volumes of applications for most jobs, with unqualified applications are at an all time high. This makes automation in the selection process essential, with a heavy reliance on the ATS to do the work. Only 8.4% of applicants responding had any kind of selection conversation before applying. It may well be that these conversations are the result of the direct approaches reported in the winners interviews as being increasingly adopted. Of all the candidates applying, only 11.6% completed a structured interview, with the majority of candidates being discounted before this stage. Questions should be asked as to why such a large volume of unqualified candidates feel an application is worthwhile, and if the minimum qualifications are made clear to potential candidates at the pre-application stage. Hiring companies should look closely at the information and content they are making accessible to potential candidates, and if the driver in their recruitment marketing efforts is geared to increasing the volume of applications rather than encouraging opt-out from those who are either unqualified, or don’t have a culture or values match. A reliance on the ATS for selection means much of the messaging will be automated as notifications or rejections on “do not reply” mails rather than personal feedback. With the importance of the ATS in the process, hiring companies need to collect on-going feedback from applying candidates to ensure that the application process is user friendly, intuitive, relevant and as short as possible, with clear instructions and on-line help. For the most part, the ATS is used to present screening questions of varying detail and complexity, from the yes/no qualifiers through to those requiring a more detailed response. Due to volumes of response, the process for the most part is designed for deselection in order to present recruiters with a manageable short-list of candidates for selection and interview. Selection within the ATS is based on qualifiers like eligibility to work, experience etc, with more detailed questions over aspirations, and confirmation of the information submitted at interview stage. Due to volumes, hiring companies have been increasing the amount of questions asked, and the time it takes to complete an application. This has been evidenced by increased abandonment rates during the process. This is an important figure for hiring companies to monitor, in order to identify if there are particular stages where candidates are bailing out, soliciting feedback at the point of leaving to identify the reasons behind it and adjusting the process accordingly. Examples of best practice within the survey included limiting the application process to seven clicks, CV parsing for speed and convenience, issuing clear and simple instructions at every stage and the opportunity to engage with recruiters throughout the process. The objective now for hiring companies should be to reduce the volume of applications by greater transparency and access to information at the pre-application stage, encouraging opt-out from those unqualified or a poor values or culture match. In demand candidates will have less tolerance for a lengthy, complicated or confusing application process, the more likely they will abandon it. Hiring companies should be concerned with who is abandoning their application, as well as the volume.A lengthy application process presents real problems for the increasing number of candidates looking to apply by mobile. The technology application process and telephone interview (averaging 35 per job) is designed to deliver a short list of 10 – 12 candidates to interview on a face to face basis. 75% of responding companies conduct telephone interviews to arrive at the short-list. A number of the winners commented at interview that they are now replacing the telephone interview with automated video selection (17%), in order to improve efficiency. What is clear is that employers are looking for more than the ATS to shortlist candidates for interview. All of the winners train their recruiters in interview techniques, and most extend this training to the hiring manager. The interviewer, whether recruiter or hiring manager is the face of the company with the candidate, impacts candidate experience in that the applicant is looking to be given a fair chance to present their case and the relationship formed with the hiring manager at interview plays a big part in their decision making when it comes to offer. 25% of employers conduct 5 or more interviews (including phone interviews), Each of these touch points present an opportunity to select candidates and to create a positive impression, by the same token each touch point throws up the risk of creating a poor impression by poor delivery. Process and training for everyone involved in the hiring process, from recruiter to hiring manager is a critical factor in candidate experience, as evidenced by the practices of the winners. It is also worth noting the practice of giving feedback in a method that matches the mode of screening, once voice communication is initiated, feedback by voice is expected. Candidates are expected to invest an increasing amount of time and effort into applying and going through selection. The time and effort committed to feedback on each stage by the hiring company needs to reflect this. Interview structure and format should not come as a surprise to the candidate. Candidates want to prepare for interview by researching the company, the opportunity and the people conducting the interview. 29.9% of the candidate respondents received an agenda of what to expect before the interview, and 10.2% at the interview. 63% were given the names of the interviewers before the interview. This means 60% went in to the interview blind without any agenda, and 37% had no opportunity to research their interviewer before the event. Giving the candidates the opportunity to prepare is essential for candidate experience. The candidates need to feel that the hiring company gave them the best opportunity to present their case in the best way. They don’t expect to always get the job, but they do expect the chance. 51.1% of candidates report being required to attend a panel interview as part of the selection process. This experience can be nerve racking enough for a candidate looking to make a positive impression, but the pressure is intensified when the panel comes as a surprise. Candidates do not expect to get a job, but they do expect to be given the opportunity to present themselves in the best light. The opportunity to prepare is a big part of this. The survey results indicate that few candidates were advised that a panel interview was going to take place, and the negative impression this can create on the candidate. 54% of candidates were advised on the next step, time-scales and expectations, which means 46% were left in the dark. Co-ordinating candidates in a timely and informed way should be an essential part of the selection process. Care and attention paid to the candidate at the critical selection stages, indicates the care and attention that will be paid to the candidate if they transition to being employees. The attention to detail in the selection process can play a big factor in the candidates decision making process when it comes to the offer stage. Hiring companies should be mindful of this when designing their hiring process. If you have stuck with this series, which concludes tomorrow, I hope you are getting the picture of what really happens when people look for jobs.I urge anyone involved in the recruiting process to get involved in this years research and awards. It’s free to take part, and will get you a free benchmark report on how you are doing. I ask my fellow bloggers in the space to help promote this far and wide. It is important, and through real research we can make a difference. This is part 3 of the Candidate Experience, based on the research conducted as part of the judging process. You can get a free copy of the official report HERE. Candidate experience is greatly impacted by how well the individual is briefed and prepared for what is going to happen in the hiring process, and what they are going to be asked to do, from questionnaires to detailed behavioural assessments. 38% of the candidates were presented with no explanation of what will be expected of them. Hiring companies need to consider how well they are communicating process and types of questions/assessments, with clear guidelines over time and method of completion. The next step instructions can be included in all on-line content, and as a pop up whilst completing each stage of the on-line application process. The majority of candidates are not being asked for feedback until much later in the process. 55% of candidates were not asked, and it is clear from earlier answers that where feedback is solicited, this comes by way of questions from the recruiter, rather than data collection during the process. The respondents to the questionnaire paint a picture a great reliance on recruiters for communication and feedback, whilst time available to do this is restricted due to volumes. A candidate who has been successful at this stage and is further in to the recruitment process before being asked will probably have a more positive view than a candidate who has failed at this stage. Only soliciting successful candidates later in the process may well hide problems in the process. Feedback needs to be collected in a consistent way, and in real time at every stage of the process to bring about improvement in candidate experience. Without meaningful feedback and data, companies can only work on gut feel and guess work. The evolution of the black hole. Unqualified candidates either receive no feedback (notified at application by a cut off date: “If you haven’t heard from us by …..”, an automated rejection notice triggered by the ATS, or 33% of respondents are required to give direct feedback. 39% give automated or no feedback to unqualified candidates. The rule of thumb amongst the distinction winners was that voice contact was instigated, then feedback should be by voice.The “black hole” experienced by many candidates can be avoided by setting clear K.P.I.’s and expectation for recruiters, and line managers at every stage in the process, as well as making progress visible on-line, so that a candidate can check in and monitor their progress at any time. The volume of unqualified candidates creates communication challenges for companies in rejecting candidates at point of application, hence the increase in use of “killer questions” and automated rejection. The solution to this lies in transparency of minimum requirement pre-application, to make it easier for people to opt out if they are unqualified, reducing volumes and improving efficiency, a key to improving candidate experience. Feedback to qualified candidates on progress. 30% of rejected candidates received an automated “do not reply” e-mail to close off the process. Whilst this is better than nothing, it has little value to the individual candidate who will have already committed considerable time and effort into the process. 24% received a call from the recruiter to give feedback, reaffirming the belief that once voice contact has been instigated, then feedback should be by voice. It was interesting to note that when hiring managers had received training in giving feedback, and were required to give feedback to the candidate directly within an agreed time-scale, attention at interview, selection and feedback, the quality of the whole experience greatly improvedThe more involved and accountable for candidate experience the hiring manager is, from start to finish, the better the candidate experience. Whilst the number of candidates receiving a call from the hiring manager with feedback, 3.2% of candidate respondents, this demonstrates a move in thinking as to who should be responsible for delivering in person feedback. Qualified candidates go through a series of assessments before being called in for face to face meetings, which range from telephone interviews, video screening (commonly referred to as video interviewing), to tests and assessments. This is the second vetting stage after the application, requiring additional commitment. 50% of the company respondents had measures in place to make recruiters or line managers available for feedback if required. A concerning result from the candidate respondents is that the majority received standard, non-specific feedback notifying them that they were no longer being considered. Some notification is better than the 11% who heard nothing and were left to assume they had been unsuccessful, but given the effort, time and commitment candidates are expected to make getting to the interview stage, do they not deserve more specific feedback for next time? Active listening before the finalist stage. A continuing theme throughout the research was the lack of measurement and feedback at each stage of the hiring process. 76% of candidates were not asked for feedback after they had been rejected, This misses a real opportunity to get a real understanding of how well the process is working and the feedback is being received. As companies look to maintain relationships with candidates beyond the job stage, revisiting their skills, experience and qualifications for future opportunities, then managing rejection in a positive way will be critical for on-going relationships. Without feedback and data, this critical stage is left to chance, with no real opportunity to evaluate and improve on candidate experience. Candidate disposition before the final stage. According to the responding candidates, this is the critical stage for candidate experience where they report being less satisfied. 43.6% reported a negative experience at this stage, and 38.5% reported a neutral experience, neither good nor bad. Candidates clearly have an expectation of better (or more personal) feedback at this stage, having invested time and effort in the process. The lack of feedback and data collection at this stage means that most hiring companies will be in the dark as to this sentiment, and the reasoning behind it, a good illustration of the need for a formal feedback process, as hiring and feedback procedure is clearly not in line with candidate expectation. I’m live blogging from the Kelly Talent Strategy Summit in Frankfurt. Schwendemann is the first speaker, and is the manager of global assessment services. The business is going through a process of change to meet the needs of the modern, mobile world where customers value convenience and speed above all else. Changing the business means a global requirement for a different type of hire. Over the last few years, talent management has moved from being local in each country, to a global approach. This encompasses Organisational Development, Organisation Effectiveness, Global Talent Acquisition, Global Assessment Services, Global Performance and other “people” business units. Schwendemann is responsible for facilitating assessments in the recruitment process around the world. She is quick to point out that assessments are not the complete solution, but are a useful indicator to fit and future performance. Hertz have tests they can apply for all positions in the business, with employees completing on-going assessments throughout the employee lifecycle. This starts with selection and moves on in to performance management and career development. 360 degree surveys look at the past, psychometric testing looks at today, and the assessment tests look to the future. Hertz outsource this function, with tests linked to the competency model of the business. An assessment is a combination of tests such as the Hogan Suite, cognitive ability tests etc, as well as role plays and practical exercises. The tests are integrated in to the ATS (ICIM’s), with each applicant taking a basic test at application point. Success is tracked by factors like retention, performance etc to identify success and change the assessments accordingly. It is all about data and review. The immediate impact of introducing these assessments globally has been a significant reduction in 90 day turnover. When the pre-hire test was introduced, customer satisfaction went up for recommended hires, and down where the assessment indicated that candidates should not be hired. There was an increase in sales performance by 11.4% after the assessment was introduced, and staff turnover was reduced by 46.2%, with an estimated turnover saving of $1.41Mn. Impressive numbers. Schwendemann shared the story of the merger between Dollar and Thrifty following acquisition. The plan was to announce a new structure within 3 months, and to treat the new employees to the group the same as Hertz employees, with equal opportunity in the restructured company. All employees in the new and old business completed assessments to build a profile for matching against the roles in the business, measured against the agreed competencies. All hiring managers get a simple Insights report in order to compare candidates against the same criteria. The key to success is involving all the stake holders from the start, with the participant playing the biggest part. Development meetings and plans are agreed at a three way meeing with the line manager, and HR acting as the supporter/facilitator. All assessments are followed up with a structured feedback call after seven days, followed up by the development meeting. What Hertz have learned so far is that information on the tests, measures and the process need to be very transparent, with an emphasis on development rather than selection. The roles and responsibilities in the development plan need to be clearly defined, with good support and training for negative results and scores. Feedback and coaching needs to be day to day. It has been an interesting journey, to centralise what good employees look like, and how they will perform in the future. I will be watching the continued role out of this initiative with great interest. This is day two of my look at the data and research that came back from researching the UK edition of the Candidate Experience Awards. There are three days to go in the series. You can get the full research HERE. This post is my opinion, and does not reflect the official line of the #CandeS. Prior to application, the emphasis is on providing non-specific information. Detail like how often a job opening comes up, previous job holders etc is unlikely to be made public until deep in the application process. As most information is communicated by the recruiter in the process, the thinking behind this may well be that the recruiter can control the negative impact of a message to a candidate they are looking to attract. This is often referred to by recruiters as candidate control or selling the opportunity. By contrast, however, candidates are seeking this information before applying in order to opt in or opt out of an opportunity. This could be a major factor in the high volume of applicants needed to fill a job. For many of the responding companies this was in excess of 85 per filled post, of which 60% are considered unqualified. Only 44% of candidates were aware of the values of the organisation before applying, and an amazingly low 34%, the workplace and culture. Only 25% had access to the job spec before they applied.This can only result in candidates being in the process in order to find out there is no fit and opt out. With the reliance on recruiters to communicate this type of critical deal making or breaking information on a one to one basis, a high volume of response will significantly reduce the time available and opportunity to do this. Full transparency in public channels reduces applications, because people choose to opt out or identify themselves as unqualified to apply. This creates the time needed to give a great candidate experience to those who remain in the process. Only 1 in 8 of the companies who responded surveyed candidates during the application stage. Fewer than 10% of the candidate respondents felt the hiring company were interested in listening to feedback at this stage. The pre-application stage is the time when their is the most people in the process. Companies are relying on guesswork to determine if they are providing enough information in the right way to enable candidates to make informed choices. A good mantra for decision making over strategy is that “In god we trust, everyone else bring data.” Relying on random feedback between recruiter and candidate, when the candidate may well be doing their best to impress, will only lead to a false sense of security. Good candidate experience is dependent on consistent data collection at every stage, including from those who determine not to apply.Companies who offered a good candidate experience for the most part collect data at every stage, and work to K.P.I.’s for satisfaction delivery throughout the end to end process. To the serious candidate, the expression of interest is a big decision. The point at which they are going through the conscious phase of potentially leaving their current employer and joining another, or committing their future to a hiring company. For many, it is not an easy decision to move from curious to committed. It requires time, and a sharing of what is considered confidential information. Hiring companies must respect this level of commitment in a candidate, and respond accordingly. A number of the CandE winners spoke of having a separate process and view of a candidate, and an applicant. The commonly held interpretation being that a candidate was anyone involved in the process,wether an interested party, a target or a visitor to career content, whereas an applicant is more specifically a candidate who expresses an interest in joining the organisation, usually by commencing the formal application process.Acknowledgement of the application, simplified admin through technology (CV parsing), and opt-in additional information to support an application are common practice in most of the organisations replying, with the underlying thinking being courtesy and convenience. It was interesting to note in the winners interviews that some of the winning companies had moved to a direct sourcing methodology in order to get the candidate enthusiastic and qualified before asking them to formally apply through technology. Given the lack of information available pre-application in areas like job description, company values and culture, it is not a surprise that open jobs receive high volumes of response, and that employers have responded by looking to technology and screening questions to cut down the volume before applications get the recruiter’s attention. The longer the technical application process takes to complete, and the more intrusive the questioning, the more likely applicants will abandon the process before completion. 61.1% of the responding companies enable unqualified candidates to complete the full application process before rejecting them for being unqualified. Transparency over minimum requirements at the start of the application process would change this, perhaps offering an alternative route to connect with the company for future opportunities they may be qualified for such as a talent network, whilst increasing the probability that those who stay in the process meet the minimum criteria. Each of the distinction winners offer some level of talent network, that offers an alternative option to applying for a specific role. Be sure to sign up for this years competition. It is free, and there is no excuse for not taking part. I was honoured to be asked to be a judge in the UK version of the Candidate Experience Awards this year. I’m a big fan of the essential work Gerry Crispin and his team are doing in this area. As part of the judging, I got to see all of the data that came back from the candidate and client surveys. I like these awards because they recognise and benchmark best practice, are free to take part and are not a “first place” competition. They are free to take part, and its not a prize for the best company to buy a table, or belong to this or that trade association, organisation or group.It is not a prize for who has the best PR company. The results are data and research based, on the real candidate experience. It is open to every company who wants to take part and get a benchmark report, and it is free. I see no reason why any company should not want to take part, unless they are not really bothered about candidate experience. Please sign up for 2013! Over the next 5 days I’m going to be publishing my thoughts on the public data. This is not the official report or comments. You can register for a free copy of the full report HERE. These are my learning points from having been involved in this process. The term “war for talent” is a commonly used term to describe the competition for great potential employees. Universum describe this perhaps more accurately as the “battle for brain power,”The survey results suggest that the war for talent is in fact a war for other peoples talent. If we accept that this war is being waged on a daily basis, the results suggest that for 50% of the candidate respondents, poor process, untargeted talent attraction tactics, and poor use of technology results in many employers shooting themselves in the foot. Where a candidate has more than one potential employer, engagement and experience is critical in their decision making. It is encouraging to see employers experimenting with a wide range of methods to communicate pre-hire. The career site is unsurprisingly the primary source of communication. Mobile apps and text messaging received the second and third highest “do not use” response. Given the significant growth in Smartphone usage for web access, I would have expected greater experimentation in this area. This will become critical in candidate experience, as an increasing number of potential employees move from desktop access to mobile device, Traditional methods like career fairs and career sites dominate communication. This might make sense for active job seekers, but ignores the passive browsers. Employer communication is still largely broadcast, rather than engaging, with little or no use of features like live chat. The awareness, by job seekers, of the opportunity to get referred by a contact within an organisation is low (16%). This is largely because hiring companies are concentrating their efforts (and investment), on the traditional application process. Career site to ATS, rather than promoting, or offering, alternative routes to application. Where a company operates an E.R.P, (employee referral program), these are predominantly dependent on the internal employees making the referral. Making connections within a company visible changes the emphasis, and drives the volume of referrals. Visibility is critical in this, through the use of social plug ins. It is interesting to note that UK job seekers are twice as likely to use social media in the job search than their North American counterparts, whilst North American hiring companies are twice as likely to use social media channels to promote opportunities and employer branding content. It is surprising to note that despite heavy use of social media in the job search, the information provided has little impact on their decision to apply for a job. My feeling is that this is a reflection of the lack of mobile compatibility, (when job seekers are browsing the web in down time), and the redirect from social media to career site to ATS, with little opportunity to complete the whole application process within the channel. Unsurprisingly, LinkedIn dominates in the areas of candidate engagement and prospecting, with 73.7% of the respondents using the channel in the job search, and Facebook with 44.4%. Google+, despite being a relatively new channel, is being used by nearly a quarter of the respondents, suggesting that this will only grow in importance over the coming year. The other results worth noting are that Twitter is almost non-existent in results, and that review site Glassdoor is making some serious in-roads in the UK with 11.4%. With the launch of a dedicated UK site by Glassdoor during 2013, we can expect this destination to grow in importance over the yeae, with potential applicants seeking reassurance from current employees and previous applicants before hitting the apply button. The absence of Twitter perhaps reflects the move by employers to replicate what they know i:e: the career site, on social pages rather than move to more open forms of engagement like live chat or twitter, where it is harder to control the message. The LinkedIn result reflects the growing trend amongst direct employers to move to a direct sourcing model via LinkedIn, as reflected in the CandE winners interviews, with direct sourcing being cited as a big factor in improving the candidate experience, where relationships are established early in the process on a one to one basis, where candidates are pre-selected according to their profile. There is a general recognition that all job seeking data indicates that potential employees look to research potential employers on-line in the application,interview and decision making process. In line with talent attraction, LinkedIn dominates the communication channels, with over 70% of responding companies adding content, followed by Facebook pages with 40% and unlike the job seekers, Twitter features with 21%, slightly behind Google+. Smart employers are recognising that individuals have preferred channels to communicate in, and are spreading their content across all of the available channels, whilst others are communicating almost exclusively in LinkedIn, reflecting the dominance of the channel in recruiting terms. Employers continue to communicate through single destination career pages on LinkedIn, Facebook and Google+, replicating the thinking behind single destination career sites. The growth in culture branding, personal brands for recruiters, referral networks, talent networks (like StackOverflow), and mobile will cause some disruption to this thinking, with individuals looking to connect with individuals for authentic communication over corporate marketing content. The majority of information is made available via the website or through direct contact with a recruiter. Information is least likely to be made available through social media channels, although awareness to why people work for an individual employer, awards and sustainability are the content most likely to be shared in social media. This is perhaps a perception of what content interests candidates in social media channels, with access to more varied information being dependent on access to individual recruiters. Where volumes of candidates are small, this is manageable, but sectors attracting higher volumes make individual one to one communication harder to sustain, impacting on candidate experience. The conversion ratio of applications to interview to hire is a far more effective measure than volume of applicants, though the latter is often the principal measure for talent attraction.